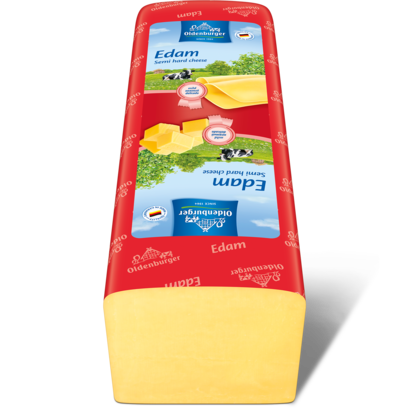 Oldenburger Edam is a classic mild cheese. In slices it makes the perfect topping on bread. Furthermore it is a tasty snack for in between or on an attractive cheese platter. Its excellent melting abilities make it the aromatic garnish for several warm meals such as casseroles. 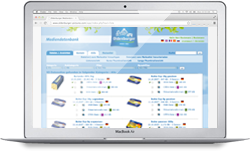 This delicious cheese is available as 3kg loaf and 15kg block for professional use.